MIPS QPP 2018 submissions period has begun and we know that this process can be quite daunting, but do not worry. We, at PrognoCIS will accompany you throughout this journey and here is a step by step guide to support you right from the beginning till the very end. Let’s get started right away. Submission Timeline: You can update or submit your 2018 data anytime until April 2, 2019, 8 pm EDT. Kindly Note: Select a full year for Quality > EHR measures, from 90 days to full year for PI and IA Reports when you run the reports. Please upload these QRDA III reports on the QPP Portal. Quality: EHR: Only QRDA III file is accepted from EHR. Manual attestation is not allowed. Kindly Note: Select Period from 90 days to full year for PI and IA Reports when you run the reports. Log in through new HCQIS Authorization Roles and Profile (HARP) system. Previously, clinicians received their credentials through the Enterprise Identity Management (EIDM) system. Clinicians are encouraged to log in early to familiarize themselves with the system. For More Information: Kindly review the 2018 MIPS Data Submission FAQs and other resources available in the QPP Resource Library. Try submitting your 2018 MIPS data as soon as possible, you might have to update or make corrections during the process. Please feel free to contact our PrognoCIS QPP Support Team to get help in doing 2018 MIPS Submissions. Log in to PrognoCIS – Go to Resource Center – Click on Manage Cases button and put a request for MIPS 2018 Submission/Attestation. 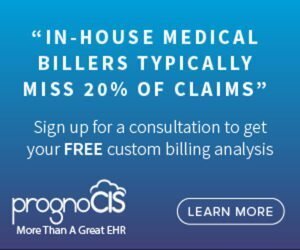 Schedule a complimentary EHR demonstration with one of our experts to see for yourself how PrognoCIS EHR and Billing solutions can provide you with a customizable workflow, tailored to your practice’s needs.